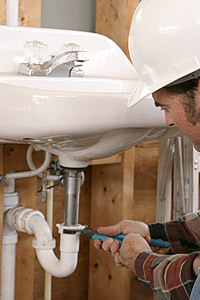 If you have lived in your own house for very long, you have probably experienced some type of plumbing drain clog. It’s inevitable that it will happen, but to help prevent drain clogs it is important to have your drains cleaned every so often. Otherwise, build up can occur and will eventually cause a blockage. Drain cleaners can be harsh on the sewer and septic systems but there is another alternative. 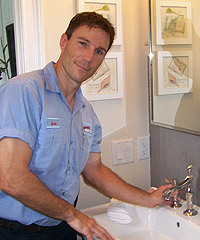 As a family owned plumbing company since 1979, we have become a trusted name in drain cleaning and replacement. 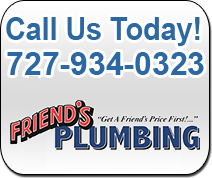 Our years of experience help us in pinpointing the problem and finding the easiest and most affordable plumbing solution. Whether it’s a toilet plug or bathroom sink clog that you need or an annual drain cleaning and inspection we can handle the job. We carry a camera on every truck so we are never caught off guard. Cleaning drains is a huge part of our business and we feel confident we can give you the results you expect. 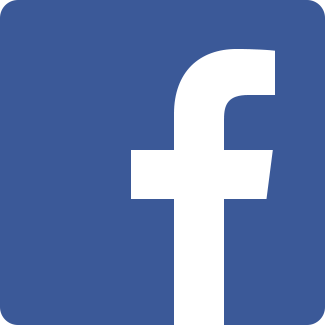 Try our drain cleaning service and see why we are the leading drain cleaning company in the area.